Somehow, it seems when you're shopping for something specific, it's impossible to find. You might find all sorts of other marvelous things while you're at the shops, but not the thing you're looking for. 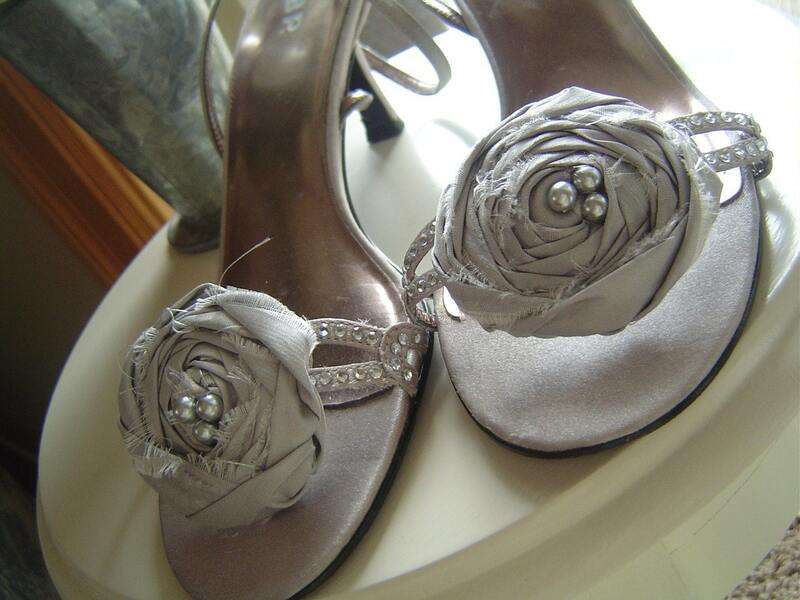 Shopping for wedding shoes took me months, and though I liked my shoes, they weren't quite what I wanted. I settled. Why not take matters into your own hands? I'm not suggesting cobbling your own footware, but rather embellishing it. Even if you don't have a crafty bone in your body, there are a wide variety of beautiful shoe clips out there that can add just the right something special to a basic shoe that's the right height and is comfortable for a night of dancing, but doesn't make your heart flutter. Don't those just beg to be worn for a wedding? And for only $14, what a deal for such added panache! 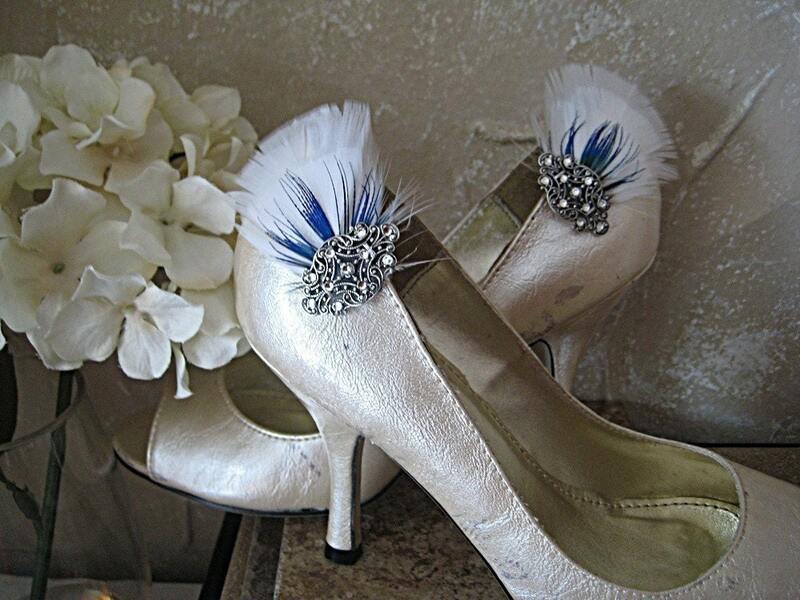 Or how about these sparkly, feathered clips from designer Nylora? What a fun way to add that something blue! 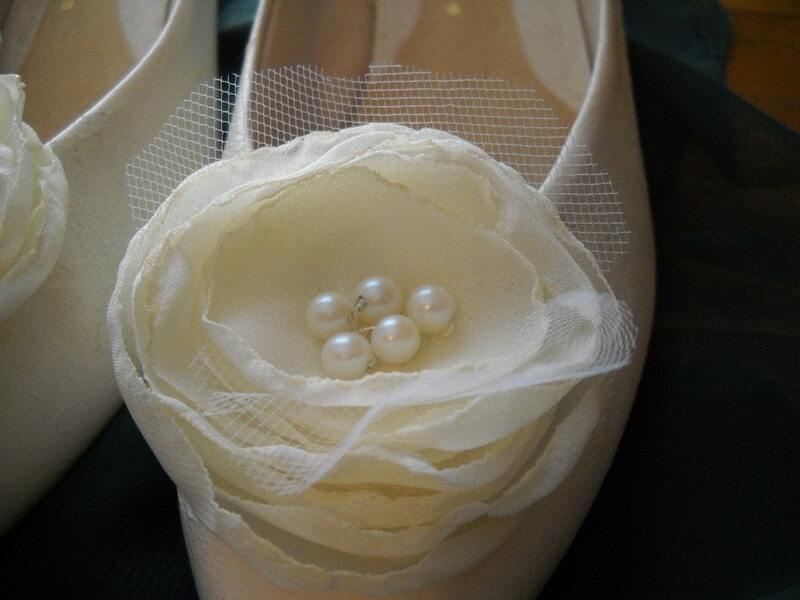 And I love how this picture shows how versatile shoe clips are. Don't feel like they have to be positioned at the toe. Are you a DIY sort? We here at Tradewind Tiaras have been known to sell Swarovski elements at cost so that a bride can make a pair of custom shoe clips that will perfectly match her tiara. We're also happy to design something for you. Have an idea? Just ask!